Q&A: Do I need a toner? What is a Sheer Gloss? A Sheer Gloss, also knows as a toner, is a semi-permanent colour service that adjusts the tone of your hair. It is commonly used after a lightening treatment, like highlights or balayage, to neutralize, enhance or brighten your hair. It can also be purchased as a stand-alone service to refresh or revitalise the tone of your hair. Ever had highlights that you thought were a bit brassy? That’s because when hair is bleached it naturally lifts to a warmer tone (think yellow and orange shades). After your hair has been lifted, a toner or Sheer Gloss can help to transform those undertones. 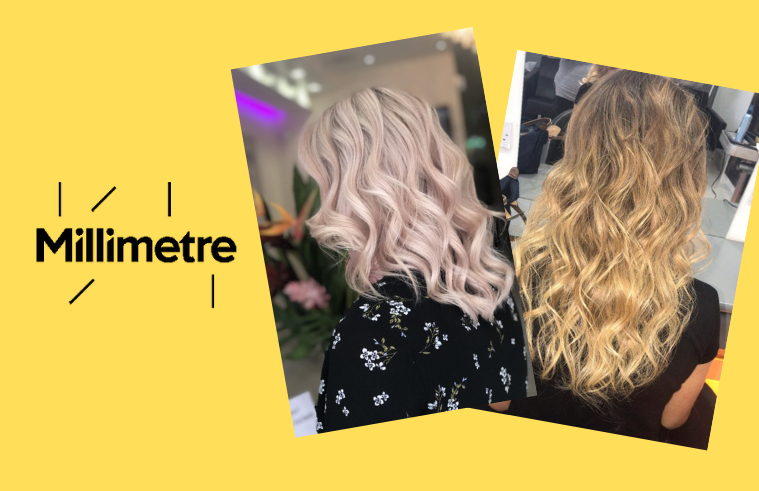 Whether you want to create champagne, rose gold waves, or a platinum blonde crop – a toner can help you get the colour you desire. A toner allows you and your stylist to have more control over your finished look so if this is important to you then we would recommend having one! Nothing lasts forever, and this goes for toners too. The healthier your hair, the longer it will last. This is because the more damaged your hair becomes, the more porous it is and the more likely your colour is to fade. Looking after your hair before and after colouring and having regular cuts is the key to make your hair colour last longer. OK, you’ve won me over… where can I get one? You’re in luck! It just so happens we are Sheer Gloss experts at Millimetre. Book your free consultation at your local Millimetre now! Half price hair cuts for you and your mum! *Terms Apply | See OFFERS page for more details. *Terms Apply | NOT available at New Malden or Sutton. See OFFERS page for more details.